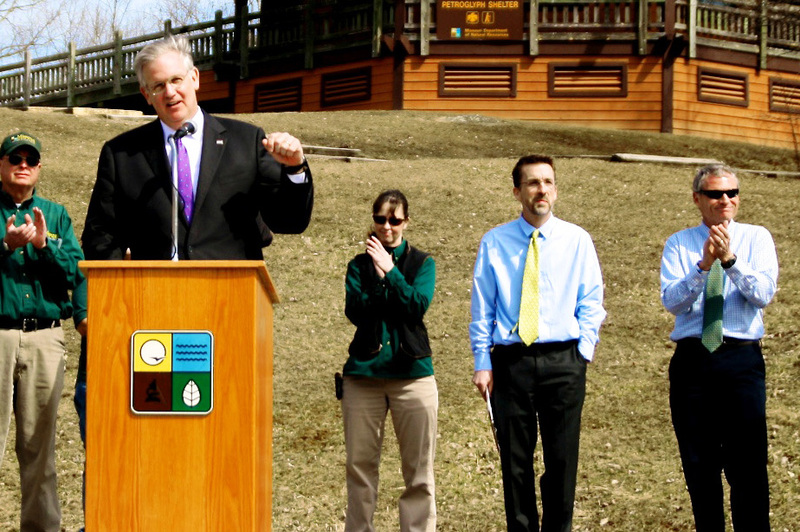 In March 2011 Missouri Governor Jay Nixon came to Thousand Hills State Park to announce a $100,000 Recreational Trails Program Grant for the first phase of the trail, a .61-mile section connecting the marina to the Campground #1. “The trail would be an incredible boost to tourism, local recreation, downtown businesses, and recruitment for Truman State and A.T. Still University,” said Governor Nixon. We are planning the second phase of the Forest Lake Area Trail System, which connects Phase 1 to the north campground. These sections of the trail will be 8′ wide, paved, and Americans with Disabilities Act-accessible. 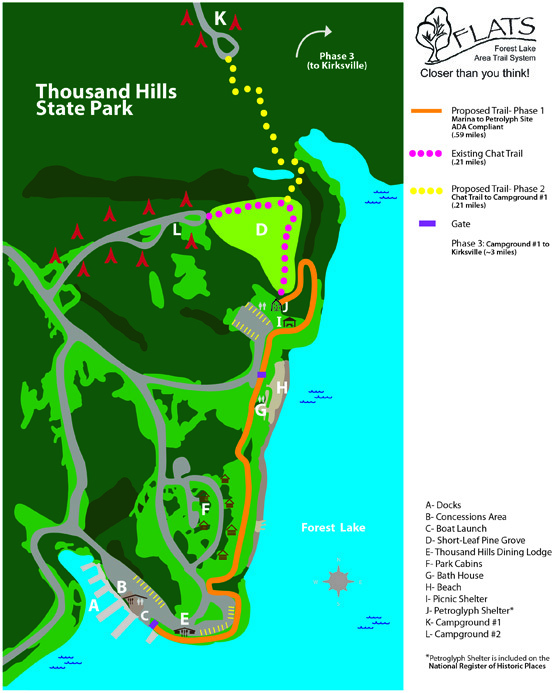 The Recreational Trails Program is funded by the Federal Highway Administration. 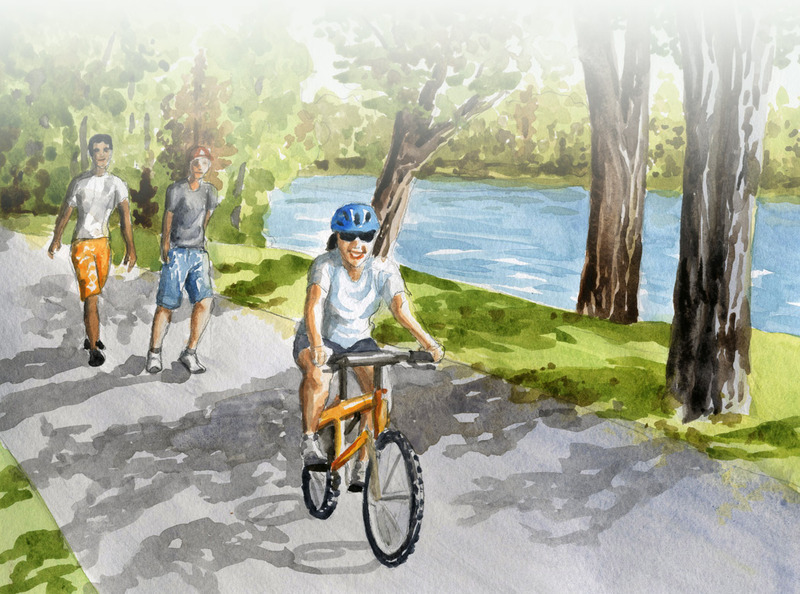 Fifty-seven percent of the cost of Phase 1 will be paid for by the $100,000 Recreational Trails Program grant. The remaining costs will be covered by cash and in-kind donations. Phase 3 will connect, in stages, to Kirksville. Why Start in The Park? Currently park users have to walk or bike on two-lane roads without shoulders to get from the campgrounds to the central attractions of the park. Phase 1 will connect these attractions, provide safe and direct access to the center of the park, and bring us closer to the ultimate goal of directly connecting Kirksville and Thousand Hills State Park. Click to see the larger PDF version.